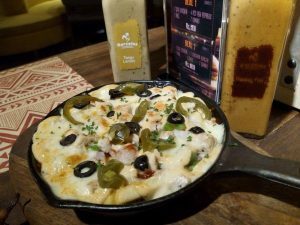 Spice that tickles your taste buds and tenderness which will make you say once more, this restaurant in Karachi has everything you look for a lunch out or dinner date. Starting with the starters of course! We were served skillet fries and peri poppers, just by the way peri poppers are their speciality and one of the best peri poppers we had in a while. The chicken inside was well marinated and it was more like a quick fix starter, also skillet fries were extremely heavy, not heavy on the pocket but literal heavy, saucy and flavoured starter. But for people who like to enjoy their main course without burping once peri poppers will work. Now coming to the main course, we ordered grilled chicken with Jalapeno chicken burger, initially Barcelos had this burger in beef now they are serving it in chicken as well, it had some glace over the bun and we just love that and it was a mess, free dude, we literally took the burger to squeeze a little and had the first few bites and it was something we would never regret ordering. 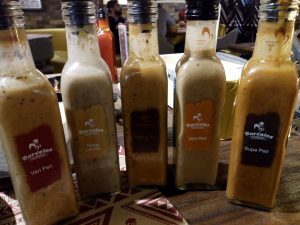 However, the winner remains the grilled chicken because of the special peri sauces we tried with it names will be mentioned below with the picture moreover, the marinated bit which was left above the piece to enjoy! 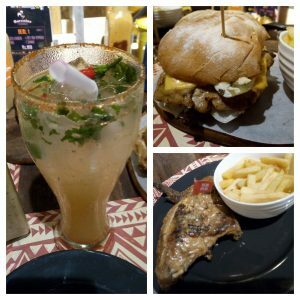 Lastly, the Portuguese lemonade we tried while enjoying some worthy food was a bit spicy and with everything peri, We would definitely try something else on our next visit. Overall Barcelos is a nice place and not to forget the amazing ambience you will see in the video link attached below. There’s nothing too overdone, interior feel matched the quality of food you’re going to taste. 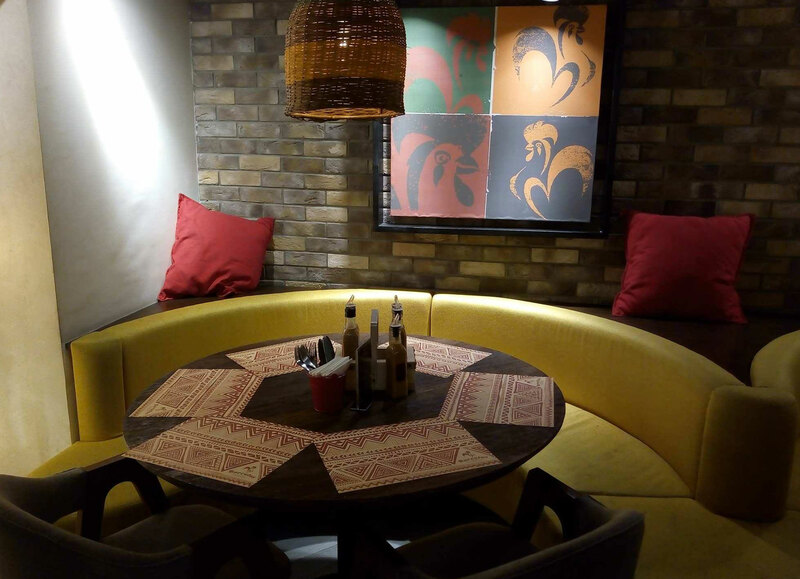 There’s an amazing wall hanging which tells you the history of Barcelos, also the service and the servers will give you a warmth and leave you with good memories and a come again!